Your submission will be prioritized above standard submissions. Get a response within 72 hours. Your submission will be prioritized above standard and priority submissions and you will get response just in 12 hours. If your submission isn't accepted, you'll get a 1 -3 sentence reason why. This is an option for guarantee publishing of your editorial in B Louder Younger. You will also receive an email with a free digital copy. This is an option for guarantee publishing of your editorial with an exclusive interview about your work in B Louder Younger. You will also receive an email with a free digital copy. Get your work featured on the B Louder Younger Cover. This is a guaranteed spot to have your photographs featured on the front cover. Series submitted must be cohesive and cannot be different images from different photo shoots. Series should be more than 3 wardrobe changes. If this is not met series will be rejected (Non Refundable). You will also receive an email with a free digital copy on the release day. 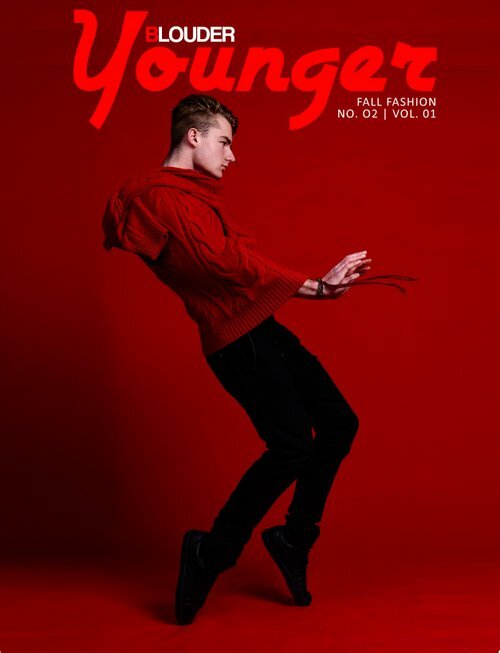 Get your work featured on the B Louder Younger Cover. This is a guaranteed spot to have your photographs featured on the front cover. Series submitted must be cohesive and cannot be different images from different photo shoots. Series should be more than 3 wardrobe changes. If this is not met series will be rejected (Non Refundable). Your editorial will be published with an exclusive interview about your work. You will also receive an email with a free digital copy on the release day.